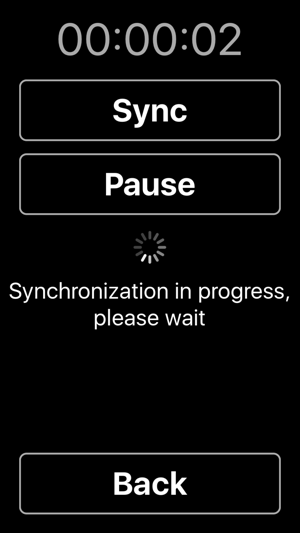 An auto-synching app for audio description and subtitles that can be used anywhere! Would you like to go to the cinema to see whatever movie is being screened, and read subtitles in your language of choice? With MovieReading today it is finally possible! 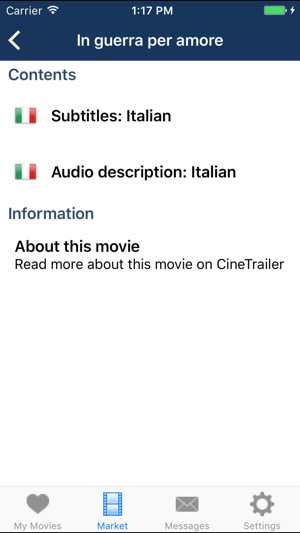 You can choose the movie you want, and the subtitles in the language you desire. Audio description is also available. No more old subtitled movies, screened at impossible times, and on a few screens in your town. Soon all movies will be subtitled and accessible to you from the first day of programming or, at most, after the first week of screening. Follow us on Facebook to learn what's new on MovieReading! This application is compatible with VoiceOver. 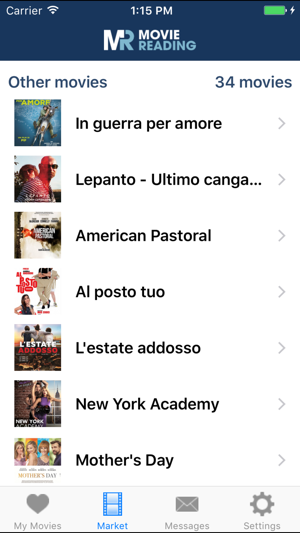 Sono non vedente e grazie a questa app ho ritrovato il piacere di andare al cinema senza la paura di non riuscire a seguire il film trasmesso. 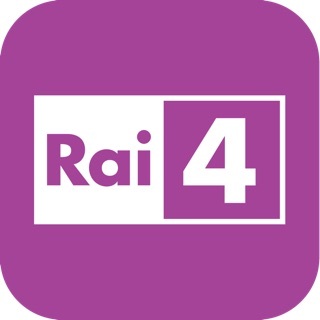 Buongiorno e grazie per questa meravigliosa app che funziona veramente bene ed offre un servizio fantastico. 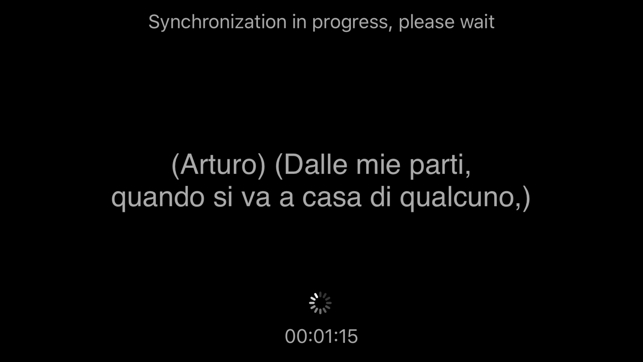 Purtroppo c'è un grave problema, io non posso usarla perché ho gli AirPods e l'audio non viene diretto via Airplay. 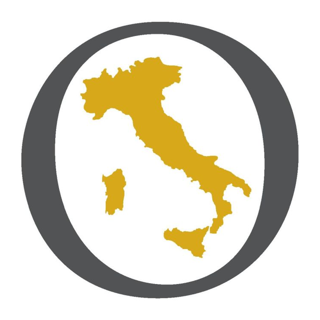 Per favore risolvete questa grave questione, ed immediatamente cambierò a cinque stelle la mia valutazione. Grazie infinite. Gabriele.